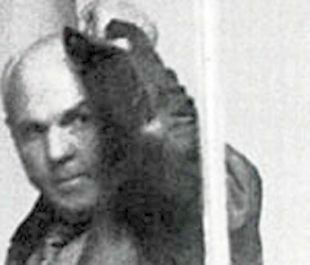 Alleged former IRA leader Thomas “Slab” Murphy was behind bars for the first time on Friday. After being jailed for 18 months for tax evasion by the Irish courts, the bachelor farmer and self-confessed republican protested his innocence, claimed he was a victim and denied being at the head of a property empire. The 66-year-old was found guilty of nine charges at the high security Special Criminal Court in Dublin. Murphy, from Ballybinaby, Hackballscross, Co Louth, on the border with Northern Ireland, was found to owe the Irish exchequer taxes, penalties and interest of almost 190,000 euro (£147,000) for tax dodging from 1996-2004. In a statement from a prison cell the alleged Provo chief said he would appeal and criticised investigations into him, the trial and the media. “I am an Irish Republican and have been all my life,” Murphy said. “For many years now I have been the subject of serial, prejudicial and wholly inaccurate commentary and media coverage. There have also been repeated assertions that I have amassed properties and wealth. Dressed in a pink shirt, brown jacket and slacks, Murphy showed little emotion in the dock as the sentence was delivered. He acknowledged some family members and friends as he was led out of a side door of the court. Murphy was jailed for 18 months for each of the nine counts of tax evasion, with the terms to run concurrently, meaning he could be eligible for release in a year. Judge Paul Butler, presiding in the three-judge court, noted the publicity around the trial but insisted reports of Murphy’s republican links did not sway the verdict or the sentencing. “It has no bearing whatsoever upon the Revenue charges,” the judge said. The judges said they took into account Murphy’s age, his clean record, that he had been on bail for several years which would have impacted his life and that he had continued to work in steady employment as he awaited trial. Judge Butler also said the total proven tax evasion was “relatively small for such a long period”. Murphy was sentenced in a non-jury court, which normally deals with terrorist and gangland trials, as Ireland votes in a general election. And the decision of the three-judge court demanded more answers from Sinn Fein leader Gerry Adams over his description of Murphy as a “good republican”. After voting in Co Louth where he is a TD, Mr Adams was asked if he thought the sentence would have any influence on voters’ choices. “It shouldn’t have, but we’ll see,” he said. Mr Adams also declined to comment on the timing of the sentencing. “That’s a matter for the court but what we are concerned about is trying to bring about real change, real change in people’s lives. If you vote for the same crowd you’ll end up with the same thing,” he said. The penalties for Murphy’s tax offences could have been as much as five years in jail or fines of up to 100,000 euro (£77,800). The farmer, who has no previous convictions and works as a yardsman for a business in Crossmaglen, south Armagh, did not give evidence during the 32-day trial. He also ignored questions on his way in to hear his fate. At the hearing, Murphy’s defence team attempted to use his silence as further mitigation with the argument that he had not attempted to mislead the court. The trial heard that the total tax bill for the nine years was 38,519.56 euro (about £30,000), and interest built up on those unpaid bills was 151,445.10 euro (about £117,000), taking the final amount owed to 189,964.66 euro. He was charged with five counts under the Republic’s Taxes Consolidation Act and four under the Finance Act that he knowingly and wilfully failed to make tax returns and did so without reasonable excuses. The court found he did not furnish Ireland’s Revenue authorities with a return of income, profits or gains or the sources of them over the period but received 100,000 euro (£73,000) in farm grants and paid out 300,000 euro (£220,000) to rent land. In 1998, Murphy lost a £1 million libel action against the Sunday Times which described him as a senior IRA figure. On one of only two other occasions when he has spoken publicly, he claimed he had to sell a home in order to pay for some of the costs of the failed lawsuit. In his statement issued by his legal team, Murphy further denied two witnesses had been intimidated during the trial - a vet and a landowner he rented land from. “This is absolutely untrue. The witnesses did give evidence. The prosecution’s legal team did not even allege there was witness intimidation,” he said. Murphy also criticised the investigation by Revenue chiefs and the Garda. “Despite never having been questioned by An Garda Siochana in relation to Revenue matters, I was arrested, charged and put on trial in the Special Criminal Court for failing to file tax returns in respect of farming,” he said. “The case presented against me was that tax returns with an average liability of 4,279 euro tax per annum should have been filed by me over a nine-year period in relation to farming. “The evidence called by the prosecution showed that tax returns were made by family members in respect of the farm, and that all tax on any profit from farming has been paid.